A couple of months ago there was a rumour that Schillinger, probably the most well-known vegan restaurant in the eastern part of Austria, was going to open a restaurant in Vienna. This rumour stuck around pretty persistently. Then the ads on Facebook started. 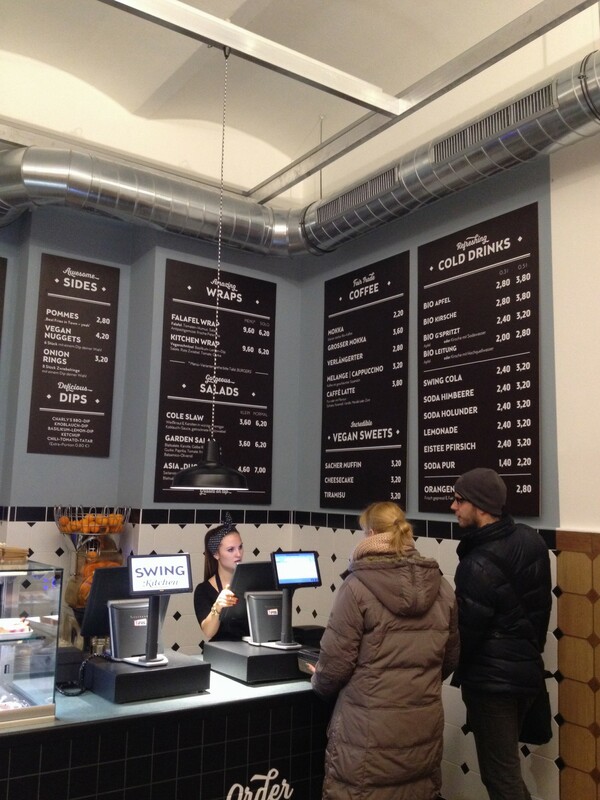 More rumours that there it going to be an all-vegan burger joint. Finally a tentative opening date appeared: early January 2015. 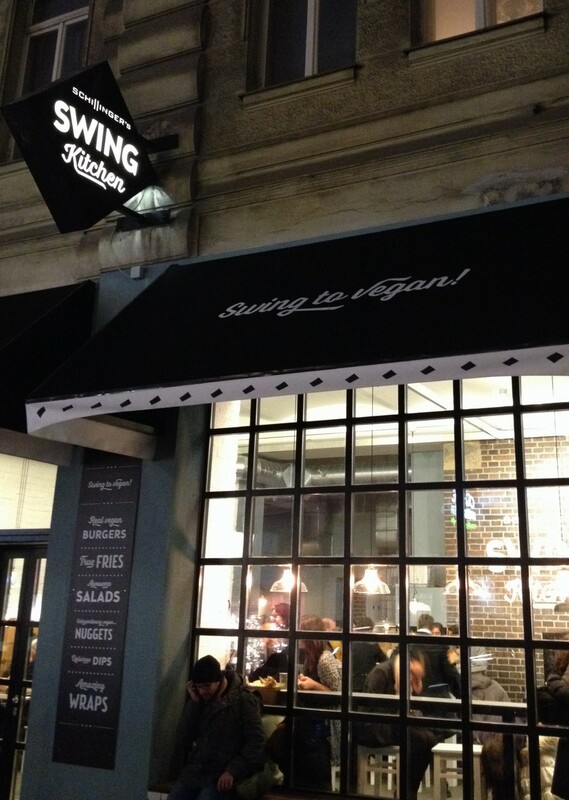 And a name: Swing Kitchen. Long story short: A week ago, on 31 January, Schillinger’s Swing Kitchen opened its doors to the hungry greedy public, serving burgers and wraps in a sleek little restaurant in the hip 7th district. Needless to say, I wanted to give their fare a first-hand try; however, I failed to notice their opening hours and as a result did not get to taste what received almost exclusively positive reviews last Sunday. Therefore, the following Friday (two days ago) was the day when Mr A and I agreed on starting the weekend with a food-induced coma – and we did absolutely get our money’s worth. 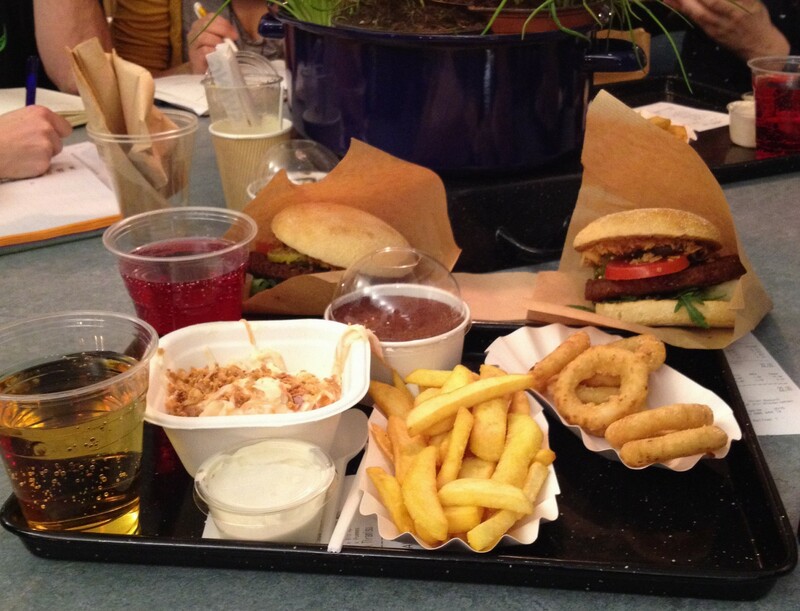 For EUR 22 we each had a Swing burger combo, consisting of a Swing burger (go, figure! 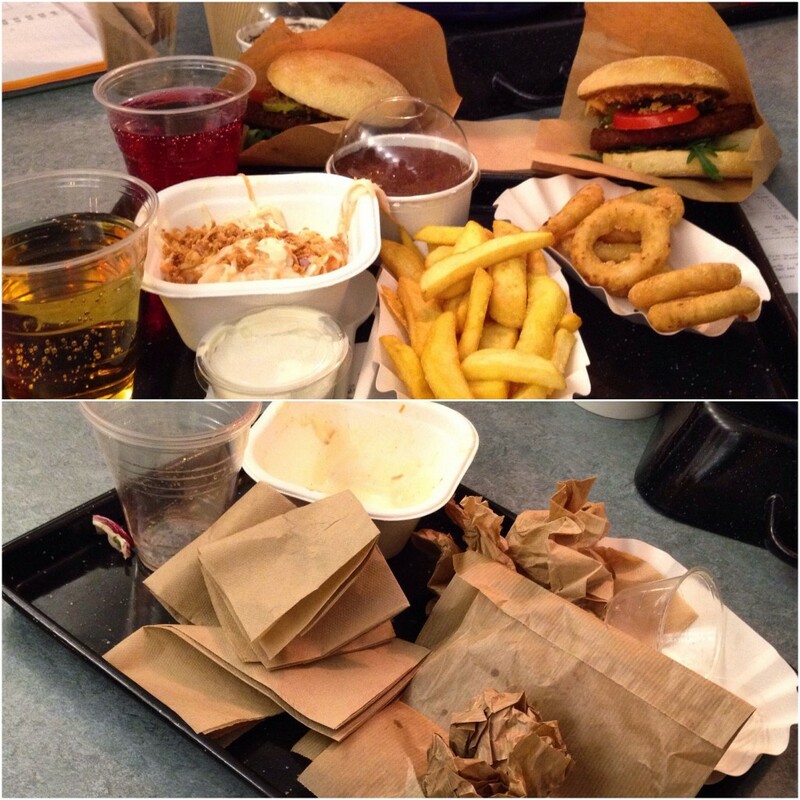 ), a 0.33l soft drink and our choice of chips, cole slaw or a garden salad (we had chips and cole slaw). We also ordered onion rings, and tiramisu for dessert. The soy burger was just like a burger should be: juicy on the inside and crisp on the outside, in a soft bun with enough salad, tomato, pickles and onion and barbecue sauce. The chips were fresh and tasty and looked hand-cut (the menu says “Best Fries in Town- yeah”), the onion rings were…normal, I guess. I have only had onion rings a couple of times in my life so I can’t say if they were outstanding or merely average but I definitely liked them as well as my choice of dips (garlic) that came with them and also found its way between burger and bun. In the cole slaw there was too much mayonnaise for my taste but I’m sure some people will love it for just that. I must mention that the staff are incredibly efficient. There was a line of maybe 10 persons in front of me and still it took me less than 10 minutes to place my order (they had two persons taking them) and only another 10 minutes for the food to be ready to be picked up from the counter and eaten. Altogether, we were in (with high expectations) and out (perfectly sated) in just under an hour. 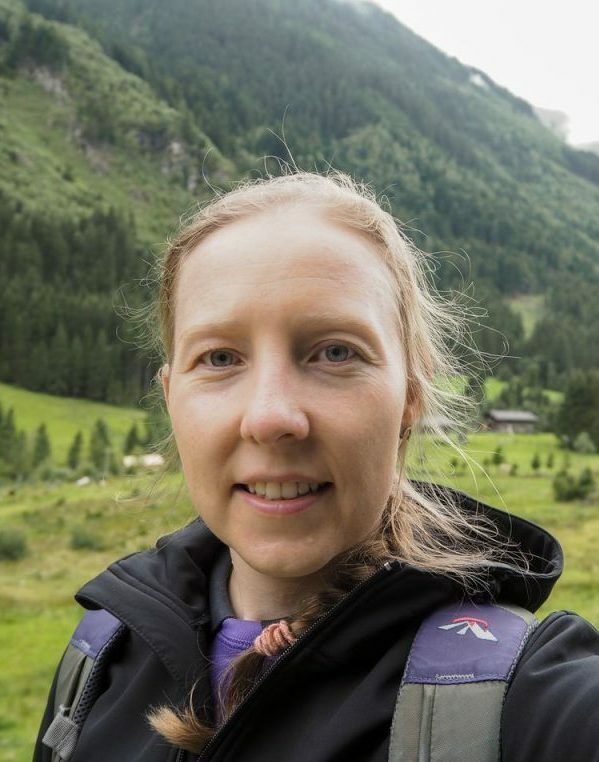 All packaging used is recyclable, most of it compostable and the owner’s have made it one of their goals to use as many fair trade products as “the market situation will allow”. Even though the restaurant is rather small and there aren’t that many tables, Mr A scored us two seats before I had even ordered. It’s probably not a place to hang out for too long (most tables seem too small to for example work with a laptop) but the atmosphere is still buzzing with energy – probably of all those random people enjoying their meal – and you won’t feel rushed or stressed at all. Actually, everyone – even those queueing up – seemed super relaxed. Quite a contrast to most other places in Vienna (Austrians aren’t exactly known for their patience when having to wait for something, especially food). Because of the constant coming and going, you won’t have to wait long for an opportunity to sit down and as soon as it gets warmer you’ll be able to get take out and eat either on the benches just outside the restaurant (maybe they’ll even be allowed to put up tables there) or on the recently installed seats all over Mariahilferstraße. 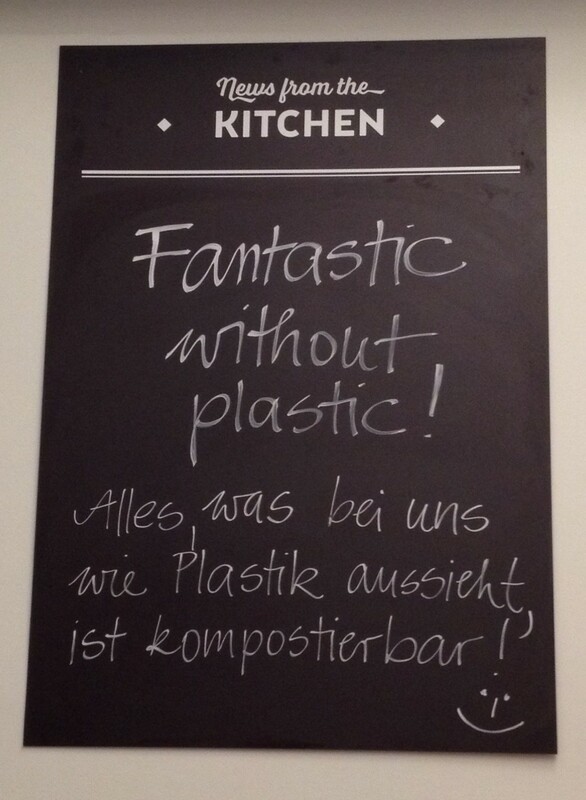 The location in the 7th district on the corner of Mariahilferstraße, Vienna’s main shopping street, makes for a mixed and surprisingly unpretentious audience, consisting not only of the hipsters you will find in other 7th district locations and definitely not only of vegans. And have I mentioned Swing Kitchen’s non-smoking policy? Altogether I can say that both Mr A and myself had a very pleasant meal and are already planning our return – for cheeseburger and wraps. 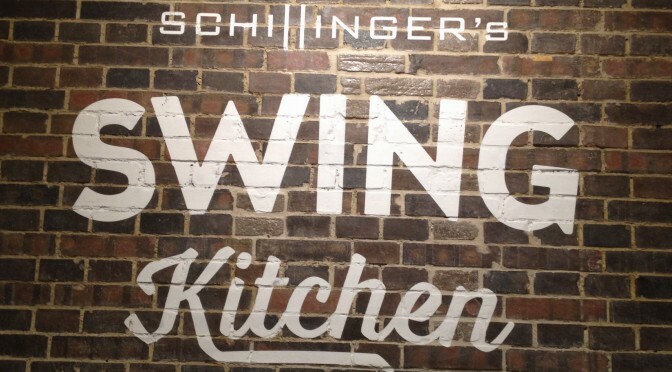 Have you already been at Schillinger’s Swing Kitchen? What do you think? Is the hype justified or is it just another overrated restaurant in an overrated district? Let me know when you’re coming to Vienna next time, Bianca! Maybe we can hit Swing Kitchen together 🙂 The burgers are every bit as great as they look. I am curious to learn about that new restaurant in Linz as I haven’t been there for years.